President Rodrigo Duterte wants to make sure that he doesn't spend the next 3 years perceived as a lame duck president, which is why he is actively campaigning for candidates who are loyal to him, an analyst said Sunday. Prof. Jean Franco, a professor of political science at the University of the Philippines-Diliman, said it is important for Duterte to continue pushing his agenda in the second half of his term. Franco also noted that Filipino voters remain "personalistic" and will vote for those who have directly helped them or have shown "malasakit." 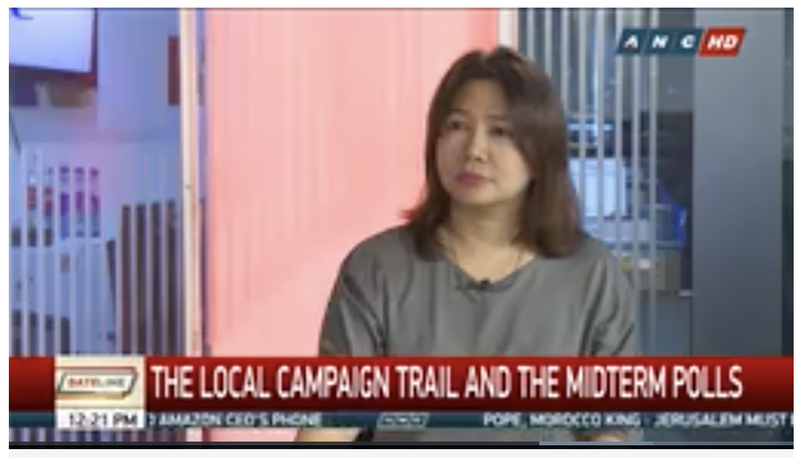 "Some people really, especially at the local level, they really need to see and feel the presence of the local candidates," Franco said in an interview with ANC. While some would scoff at candidates singing and dancing during campaign rallies, Franco said these acts also make candidates seem more approachable.